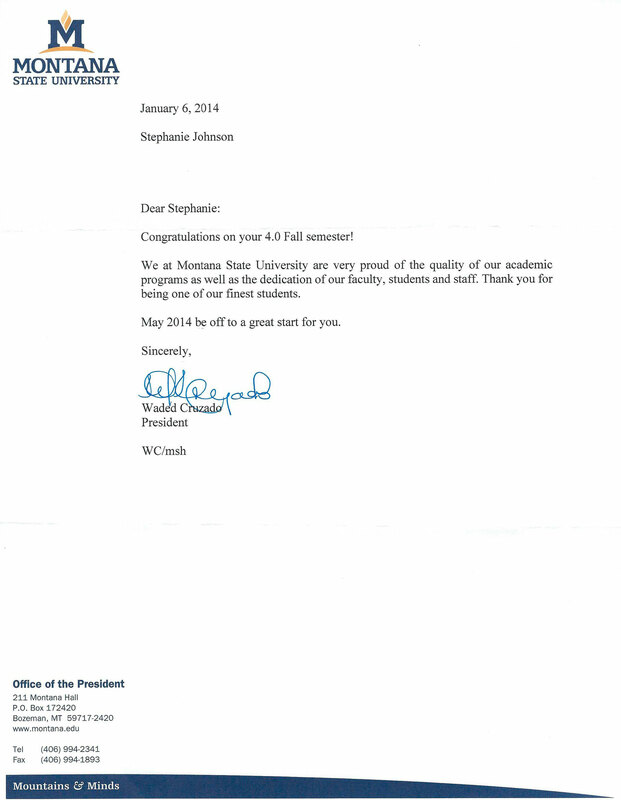 I was placed on the President's List for my 4.0 GPA in the fall of 2013. My classes this semester, totaling 15 credits, included Anatomy and Physiology 1, College Physics 2, Nutrition for Sports and Exercise, and Small Business Entrepreneurship for Food and Health. This semester I also worked at MSU Health Promotion, INBRE as a public health intern, was the student liaison for MSDA, MDA, and the Academy, attended FNCE in Houston, and tended bar at night. 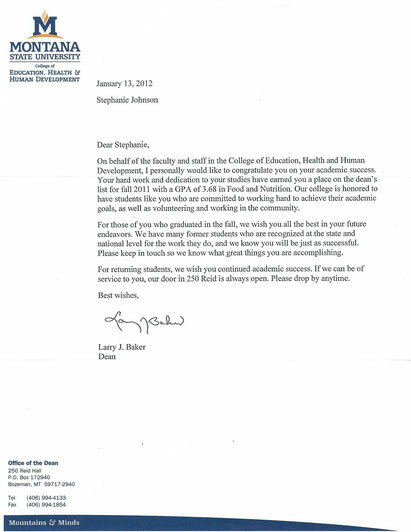 I was placed on the Dean's List for my 3.75 GPA in the fall of 2011. My classes this semester, totaling 16 credits, included Personal and Family Finance 1, Food Service Systems Management, Nutritional Assessment and Counseling, Macronutrient Metabolism, Medical Nutrition Therapy 1, and Seminar. This was also the same semester I was the president of MSDA, founded MSU Food Day, attended FNCE in San Diego, and worked as a barista on the weekends. As a fire damage repair company, we see the tragic effects of house fires on a regular basis. We see the destruction to people's things, memories, and peace of mind. And we also see the impact that firefighting can have on saving homes from complete destruction. We appreciate what they do and our annual fire scholarship is a way for us, in a our own little way, to say thank you to firefighters and their families for their sacrifices they make to protect homes and lives in our community. 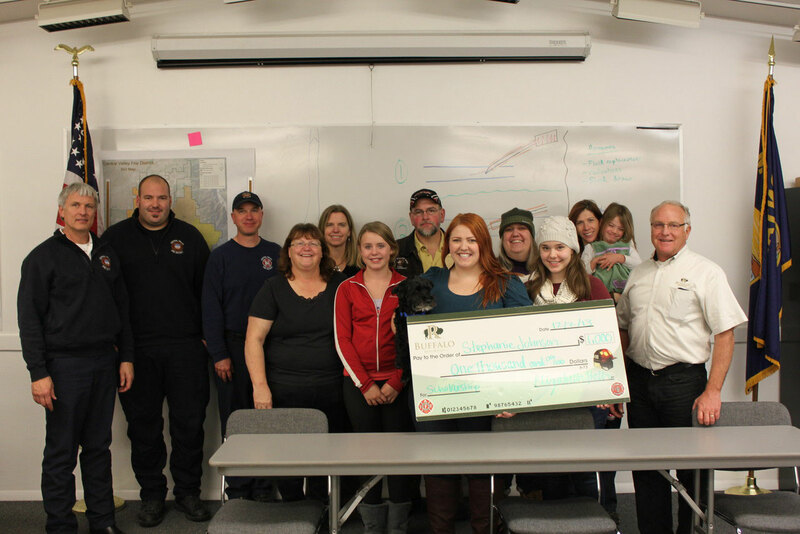 Each year we award $1,000 to the child or grandchild of a firefighter in Gallatin, Park, Madison, or Meagher counties. The scholarship is open to all ages and can be used for any kind of educational or enrichment opportunity. We are proud to announce that this year's scholarship was awarded to Stephanie Johnson, daughter of Central Valley Fire Volunteer Brad Johnson. The scholarship application asks about how having a family member as a firefighter has changed or inspired their life. Stephanie talked about how she spent a lot of her time as a child in the firehouse, doing trainings, events, charity fundraisers etc. She says the lessons she learned are invaluable, including problem solving, managing stress, integrity and compassion. Stephanie's dad passed away this last year and she writes in her application about how the entire firefighter community united and rallied around her with support. Because of what Stephanie learned as the daughter of a firefighter, she plans to spend her life giving back and helping others. 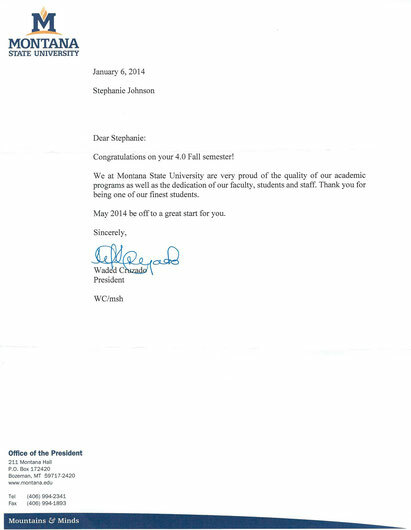 She is graduating in May 2014 from Montana State University with a B.S. Cell Biology and Neuroscience and a B.S. in Food and Nutrition. In school she coordinates blood drives, teaches health and nutrition at the detention center and Big Sky Youth Empowerment, started a food system awareness event on campus, and has volunteered for the Tour De Cure and the Trek to the Big Sky. She is the current student liaison for the Montana Student Dietetics Association, Montana Dietetic Association, and the Academy of Nutrition and Dietetics. We felt that Stephanie embodies the values of the firefighter community and has certainly been shaped and inspired by her father's role in the community. Established by Bertha Clow, Professor in Food and Nutrition from 1929-1970. The recipient must be a junior or senior majoring in Food and Nutrition, have professional promise, and good character. The lounge in Herrick Hall is named in her honor. The scholarship is made available through the generosity of Vivian Baker, a 1929 graduate in Home Economics. The recipient must be an undergraduate with a GPA of 3.0 or higher, demonstrate strong academic performance, and be enrolled in the option traditionally known as Home Economics. 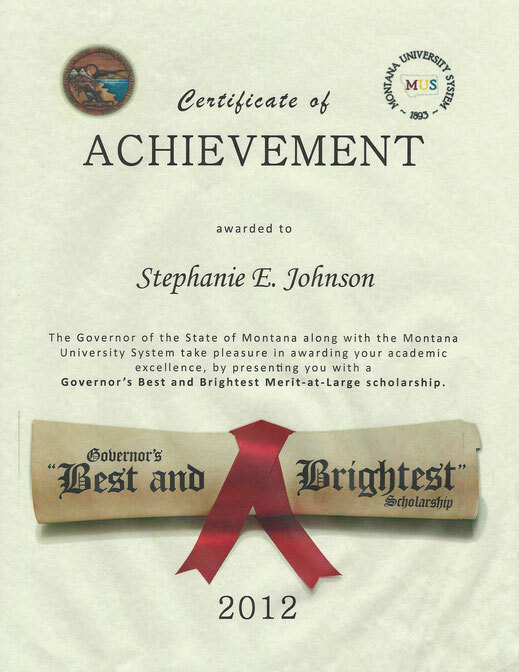 The purpose of the Governor's "Best and Brightest" Scholarship Program is to provide Montana residents with greater access to Montana's post-secondary institutions through scholarship grants based on academic achievement. This scholarship is awarded to female students that are active in the MSU Department of Health and Human Development on campus and who are service minded individuals. This portfolio is the original work of Stephanie E. Johnson, me. Please do not copy without permission. Some of the exhibits, work samples, and/or service samples are property of the organization whose name appears on the document. Each has granted permission for the product to be used as a demonstration of my work. To the left: is a painting of a pansy I made for my father. Background photos by Audrey Schadt.